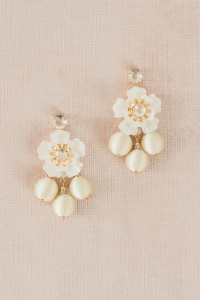 Radiate glamour and beauty with these floral drop earrings decorated with goldtone accents, thread-wrapped beads and sparkly crystals. These pretty earrings are part of an exclusive collection celebrating romance and femininity for every moment. 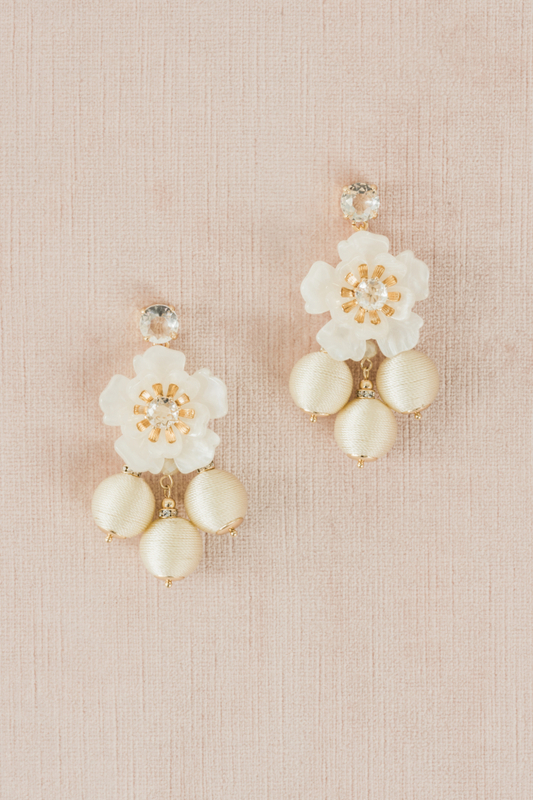 These statement earrings are perfect with a fitted sheath dress.